History: Ronald Stimson completed his PhDs in Neurochemistry and Economics at Cornell University, followed by a brief stint working in criminal intelligence for the French government. He was originally brought "into the know" by GOC operative █████ "Silvermane" █████████. The GOC deemed him unfit for service after his unwillingness to execute a Class-Green reality bender, and Dr. Stimson was slated for mind-wipe and removal. After fleeing the area, Dr. Stimson was located by Marshall, Carter, and Dark, who agreed to help him in exchange for his services. After learning more about the 'hidden world' behind things, Dr. Stimson quietly made an effort to contact The Foundation, the only group with a similar set of goals to his—the preservation of life. Dr. Stimson managed to defect thanks to Agent ███████, and after thorough screening, was assigned to minor work at Site-32. 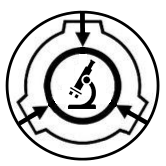 Following his promotion, Doctor Stimson was given exclusive access to SCP-███. Note: Doctor Stimson should not be given any chocolate. He is deathly allergic. SCP-1554 - You don't know what's happening. SCP-H31P - I don't know where I am. Something is wrong. The Dregs of Society - A tale about the last remaining members of the GOC in a time after the fall of man. The Lost Farm - A tale about where the hell am I I don't feel anything who is there in the harvest season of his final year. Finding Silvermane - Silvermane is at it again, trying to track down Stimson and end his involvement. The Clerical Error - I don't understand this. What is this? Is this an effect of SCP-███? You're Not Even Real - This isn't how it's supposed to be. What is this? Why does it feel like this? Someone Please Help Me - This can't be it. This can't be all of it. Metaphrasis - Learning a harsh lesson, Stimson is dragged back to MC&D kicking and screaming. Over time, it has come to the attention of the O5 Council that many of Dr. Stimson's previous assignments have gone missing.2 For some reason, these files have simply gone missing at the root directory.3 Other reports have gone missing as well. 2. No. No, I know them. I remember it all. Why doesn't anyone understand? I have all the information. 3. They… They were… deleted. 5. You don't understand. They didn't like it. They just… decided that it didn't happen. They didn't like it, and now, it's not there anymore! 6. I'M TRYING TO TELL YOU! 7. I'M RIGHT HERE! RIGHT HERE! 9. They did something. They downvoted it, then they went in and… I created so much.